These are the instructions to install Cyanogen Recovery on Samsung Galaxy S6 Flat smartphones with the model number G920S using the Odin flash tool and a computer. 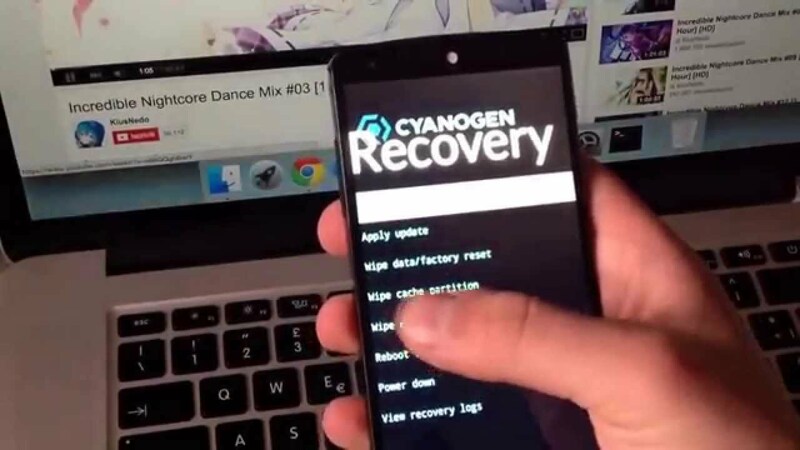 You must have a Windows PC to flash this Cyanogen recovery for your S6 Flat device or else the Odin flash tool will not flash the file on your device. You must have the Samsung Galaxy S6 Flat variant with the model number G920S to use this guide. Download and install the Samsung USB Driver on the computer from our Drivers page. You’ll find the Samsung name when you scroll down the list. Those who cannot get the Samsung USB Drivers to install during their time of visit can download the universal ADB Drivers instead. You will need to unlock the hidden Developer Options menu on your Sammy S6 Flat if that is not done already. You may do that now by tapping on the Menu > Settings > About Device. Now just tap over where it says the Build Number seven times and it will say you are now using the S6 Flat as a developer. Turn on the USB Debugging option from the Developer Options menu by tapping on the Menu > Settings > Developer Options > USB Debugging Mode. Download the Cyanogen Recovery for the S6 Flat from this link . Download the Odin 3.09 for your S6 from this link . Extract both packages to the desktop of the computer by right-clicking over them and clicking on the “extract here” option from the new menu. Double-click the Odin executable file and the app will open on your desktop. Power down your S6 device and reboot it in download mode . Connect the Galaxy S6 Flat to the computer with the USB cable you would normally use to charge the battery. Click the AP or the PDA button you can see on the Odin user-interface. Upload the custom recovery file for the S6 Flat smartphone. Do not touch any of the default settings from the Odin application on the computer. Click the Start button and wait until the Odin user-interface gives you the pass message. Wait for the smartphone to reboot; if that does not happen automatically, do it manually instead. The Cyanogen Recovery is now installed on the Samsung Galaxy S6 device and it replaces the stock recovery that was on the device before. You can reach your new recovery mode by holding the Volume Up + Home + Power buttons simultaneously. Furthermore, those of you with root access on the Samsung Galaxy S6 smartphone can download the Quick Boot app. The Quick Boot application allows its users to boot a device in various modes from the apps main menu. The recovery option is one of those and available for you to use anytime you need the said mode running.